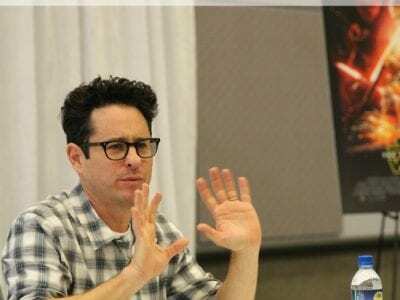 The best highlight of our #StarWarsEvent experience, this J.J. Abrams interview was everything I hoped it to be. I was sweating like a pig. 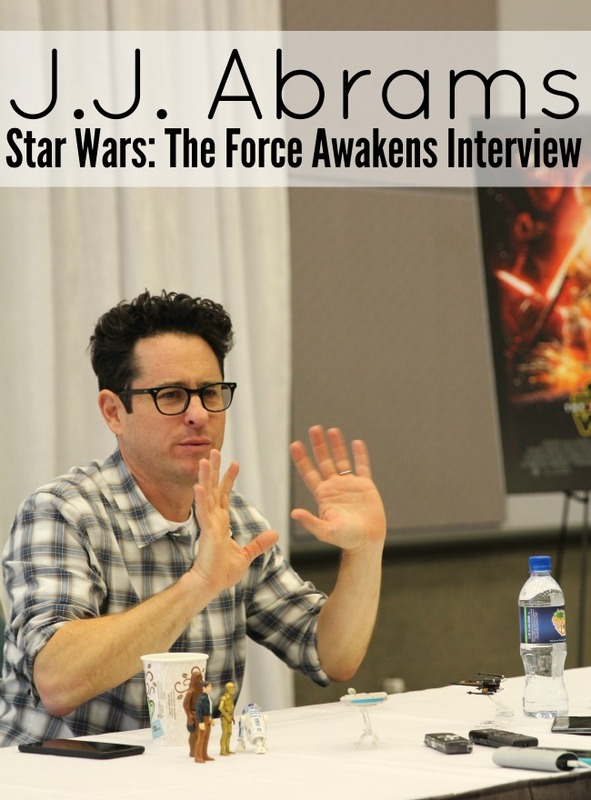 Of all of the interviews of the day, J.J. Abrams had to be the one I was most excited about. The film making genius of this generation, this guy has an impressive rap sheet. But behind this creative mind is an excited fan boy, thrilled to get his turn in the Millennium Falcon driver’s seat. See how J.J. Abrams is making Star Wars history from cantina music to puppetry to female villains…and why you HAVE to see Star Wars: The Force Awakens in 3D. 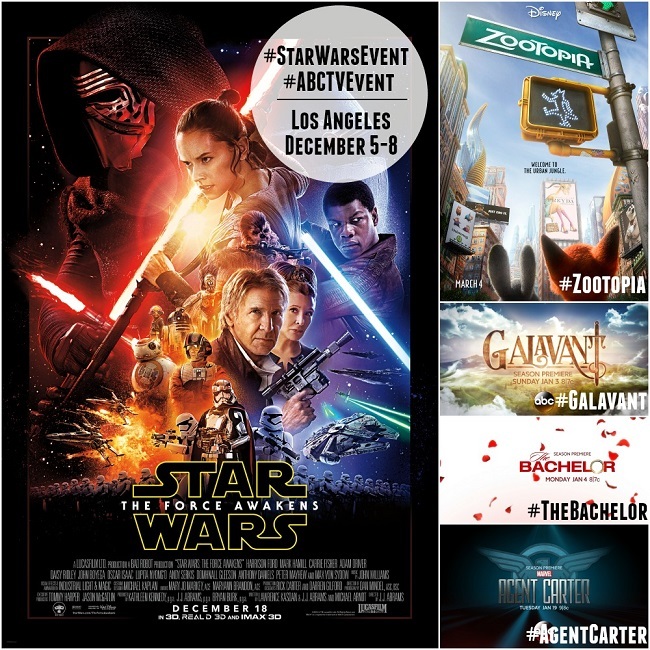 Dude, people will be heading to the theaters TONIGHT for Star Wars: The Force Awakens! Crazy that the long awaited day is here, right? Having now seen the movie myself, I definitely take a different perspective in editing my interviews. 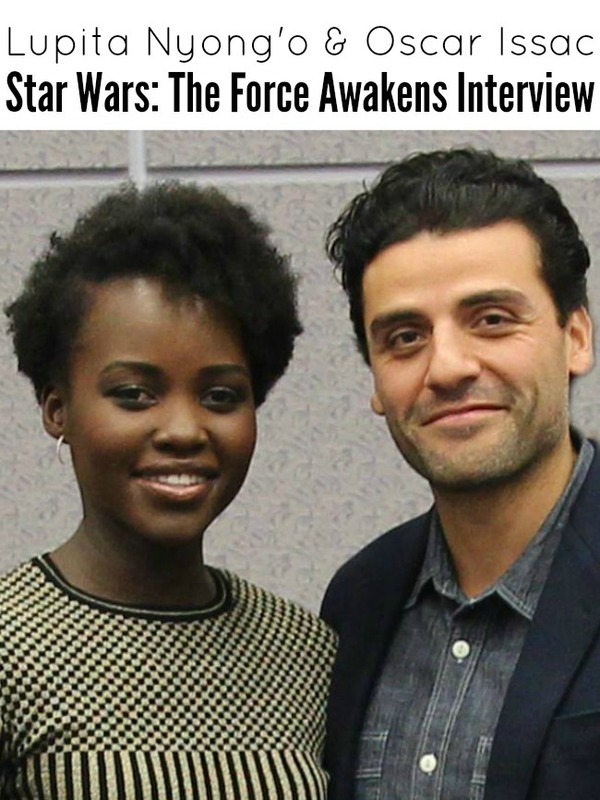 One of the most intriguing was our exclusive Oscar Issac & Lupita Nyong’o interview. An Oscar winning actress and a two time Golden Globe nominated actor, you knew you had talent in the room. 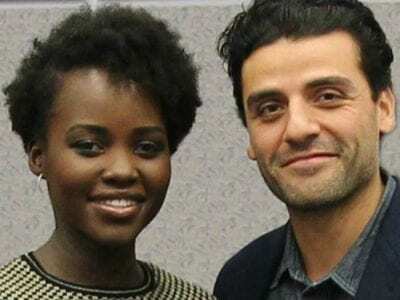 Who are Maz Kanata and Poe Dameron? 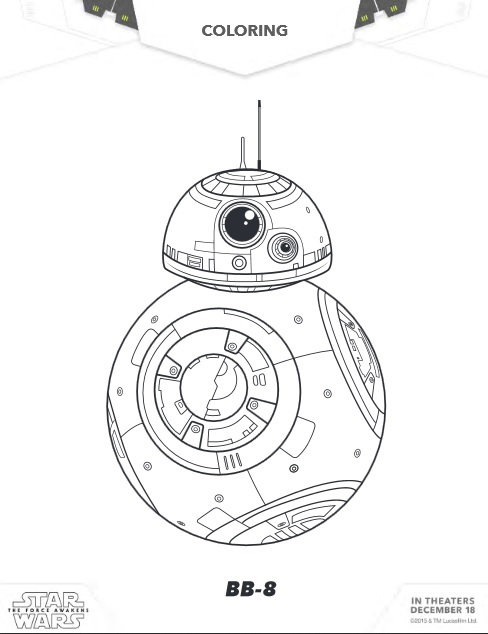 There was so little that we knew about these new Star Wars characters going into this session. So what can they tell us about Maz and Poe? Why are they important to the Star Wars story? “I’m sitting in the room with one of the most powerful women in the movie industry. 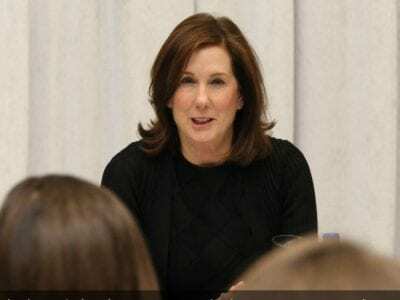 Don’t say something dumb.” That pretty much was my mantra going into one of the most nerve wracking sessions of the day, the Kathleen Kennedy interview. THE woman of Star Wars, THE President of Lucasfilm, filmmaker, producer and oh yeah, a busy mom too. How does she balance it all? Why Star Wars? Why now? And why were women the key “force” of the next generation of Star Wars? This inspiring woman had a lot to say. John Boyega is nothing but smiles as he enters the room. “Mommies!” He exclaims as he walks to his chair. “I flossed!” as he nestles into his chair. Not even one question in and the whole room is laughing. Are we at an interview or a comedy club….I’m a little uncertain. But we all knew that we were in for a belly-aching session with John Boyega, aka Finn from the new Star Wars: The Force Awakens movie. Who is the man behind the Stormtrooper helmet? How has his life changed since the first trailer release? And what’s up with the disco ball lightsaber? No, this is not Keira Knightly. You may never have heard of Daisy Ridley before today. But in just a few days, this young lady is going to become THE household name across the galaxy and THE face of the new generation of Star Wars lovers. I know….dude! How could Daisy Ridley even fathom the depth of the impact that she is going to have on the Star Wars movie franchise? She can’t. 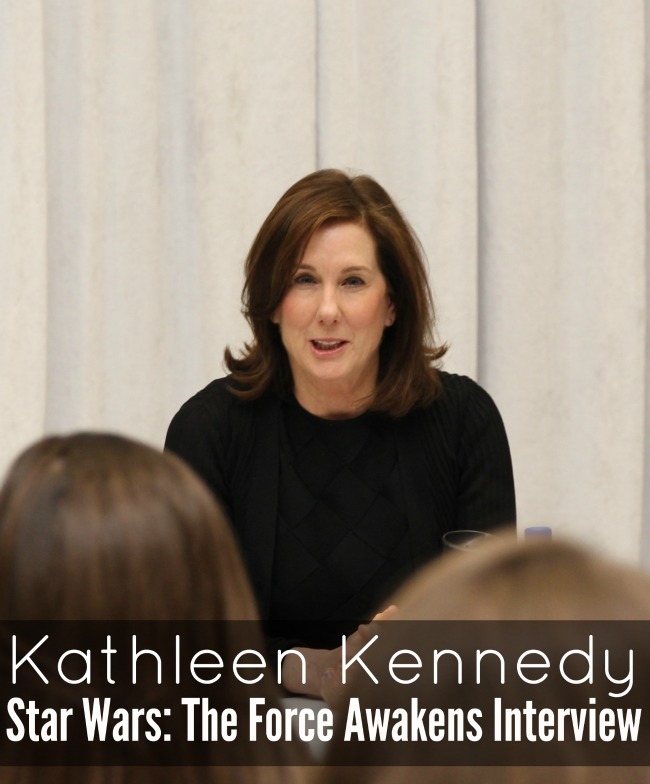 Not really understanding the full impact of her presence in the Star Wars universe only made her more appealing to talk to as we sat down for an exclusive interview. How does she feel about being the next “Luke Skywalker?” What role does her non-Star Wars fandom play in her role as Rey? What message is she hoping to leave for young girls of tomorrow? Read on, young Jedi. “Who are these mommy bloggers?” I held my breath as the Disney PR rep told us that Harrison Ford asked the question. Once explained, he said a simple “cool.” Exhale. And then the childhood legend walked into the room. 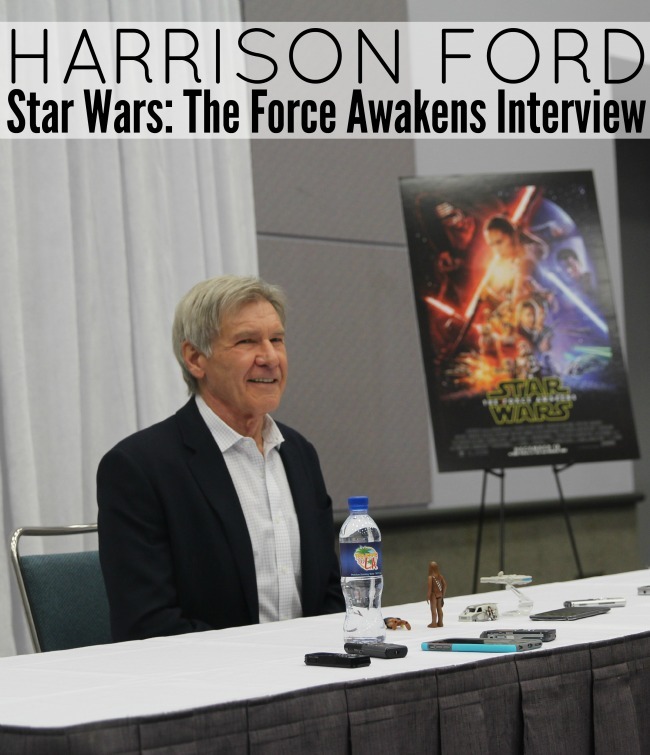 Having done the research on past interviews of Harrison Ford, I expected the interview to go a lot differently. Between ear piercings and brash statements, I had prepared myself for the worst. But as any great Han Solo character would do, he kept surprising us. He was kind. He was quiet, almost a whisper as he talked. He was subtle and funny. We found ourselves propped on the edge of our seats straining to hang onto his every word. 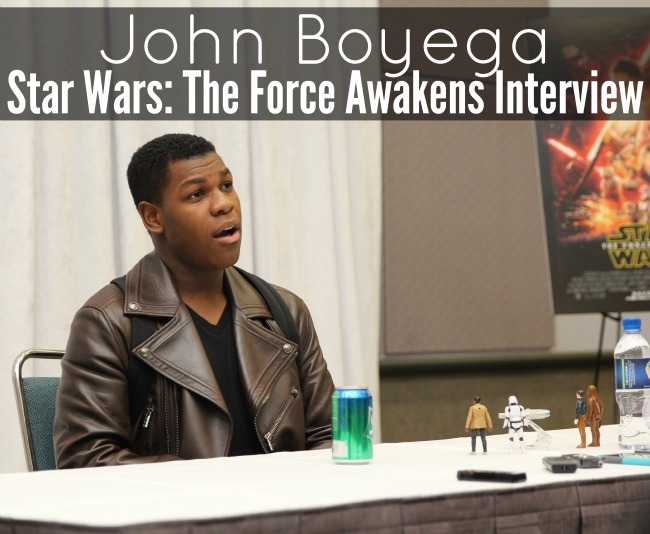 An exclusive Star Wars: The Force Awakens Interview that took me by surprise, who knew that a room of 25 bloggers could use our Jedi mind tricks to coax THE Han Solo into hanging with us just a little bit longer. Sit down with me as we explore Han Solo then, Han Solo now and the legacy of Star Wars, in the words of Harrison Ford himself. 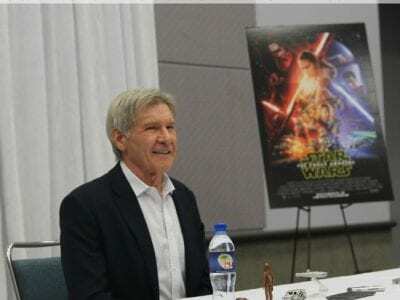 There is nothing like attending the super secret Star Wars: The Force Awakens Global Press Event in L.A. on December 6, 2015. 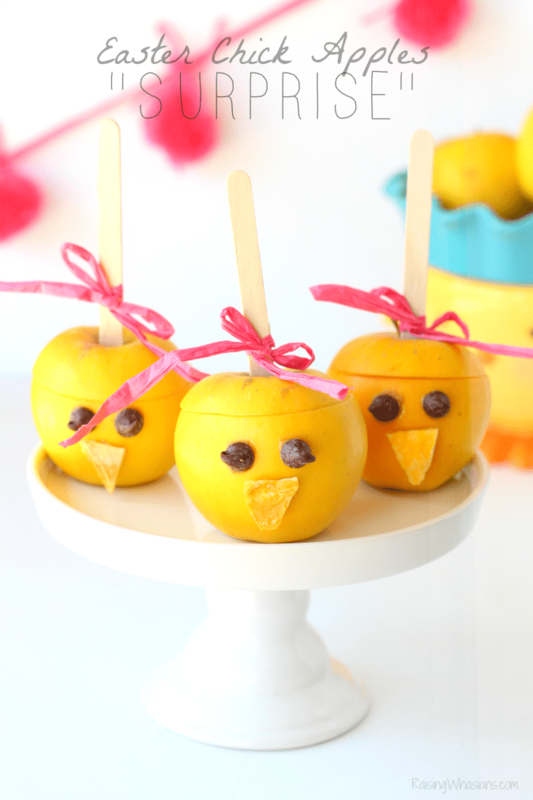 Want to feel like a million bucks? 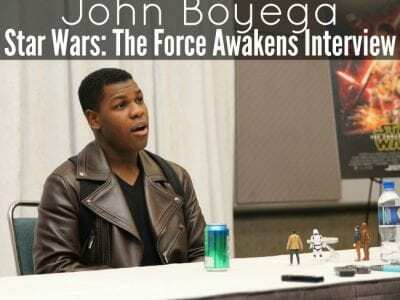 Attend the Star Wars: The Force Awakens Press Conference. There’s nothing on earth (or Tatooine) quite like it. 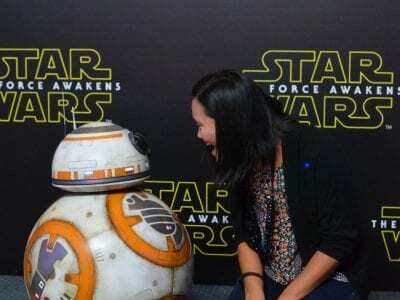 An epic day of interviews, one-of-a-kind Star Wars experiences and unknown secrets, I’m taking you through a photo tour of my best moments from a day that I will never forget as a member of the press AND as a fan-girl. 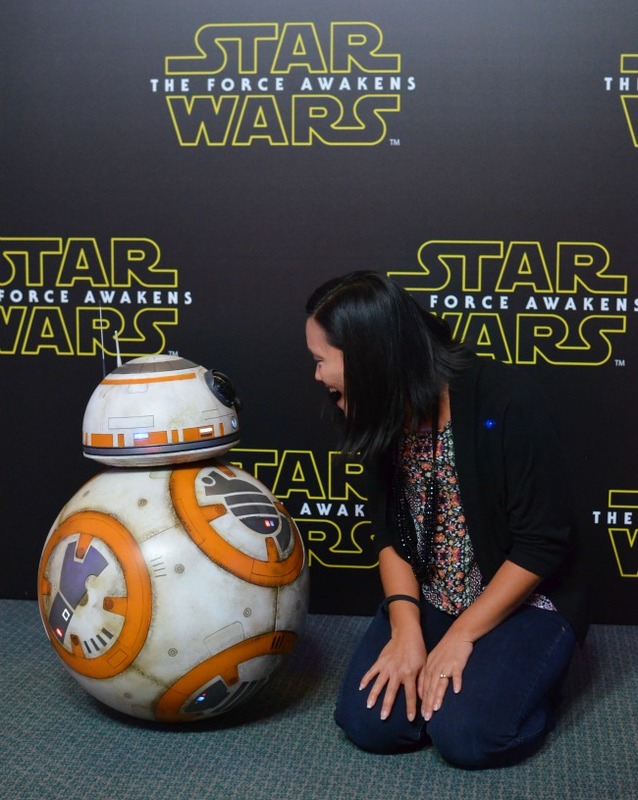 Cue adorable BB-8 picture! It amazes me how two little words can impact so many. Star Wars. Two words that have defined my very existence. Who knew that today those very same two words would define my existence as a blogger. As you are reading this post, I am literally flying to Los Angeles for the most epic movie of the year, if not this century. Star Wars: The Force Awakens. Yes, today I have Star Wars News Too Big for This Galaxy, and you’re definitely going to want to follow along for the next 4 days. Check out our full schedule starting today December 5, 2015 through Tuesday December 8, 2105 and all of the jaw dropping details as I embark on a journey to a galaxy far, far away starting NOW! 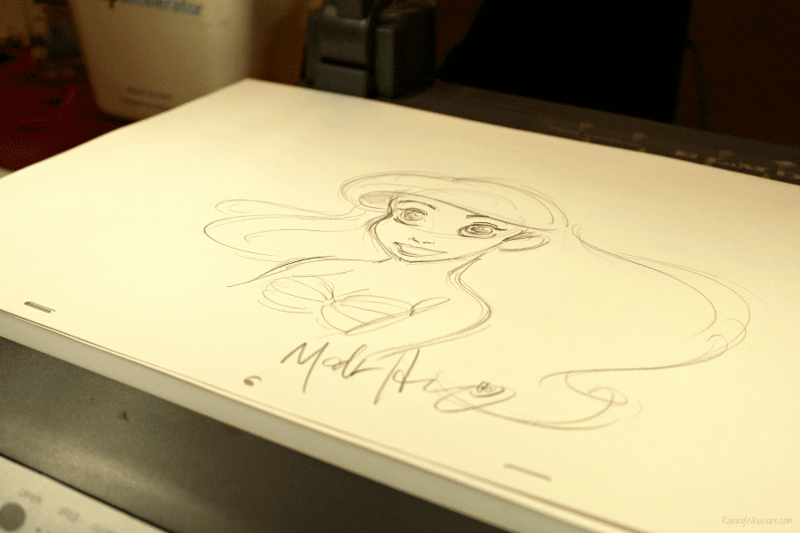 What Drawing with Disney Animator Mark Henn Taught Me About Life | Exclusive Interview & Animation Class + Video. This post is sponsored by Disney. All magical opinions are my own. May contain commissioned links. Want instant clammy hands? Go sit in a animation class with Disney Legend, Mark Henn. Intimidated would be an understatement sitting in the presence of the man responsible for most of my happy childhood. 39 years as Disney animator builds an impressive resume – including the animation behind some of the most notable Disney characters like Ariel, Belle, Jasmine, Mulan, and Tiana to more recent work like Big Hero 6, mini Maui in Moana and the “comfy princess scene” in Ralph Breaks the Internet. 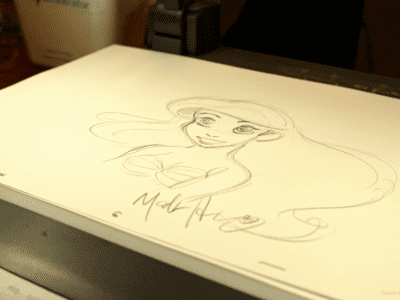 But with a soft voice, a down-to-earth view and not an egotistical bone in his body, Disney Animator Mark Henn gave us so much more than a drawing lesson. Beyond the pencil strokes and my 50 million erasure marks, I learned about why it takes a lot more than talent to reach your dreams. 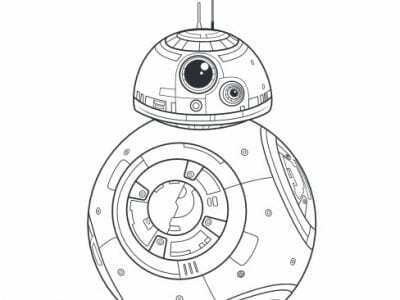 Read on for our exclusive interview, see how I did in our drawing lesson and catch the genius at work on video.